If this amphibian appears familiar to you, it’s probably because it is! You probably don’t recognize it from the pond down the road or the local forest, but from pet stores or even terrariums. 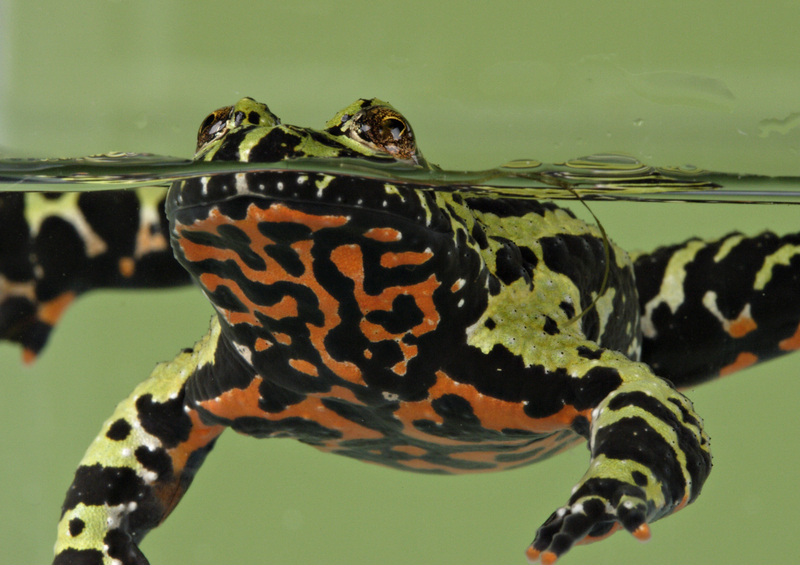 The oriental fire-bellied toad has become a common fixture in pet stores across the world, but they are native to western areas of both China and Russia. But this toad has a surprise: despite the warts and bumps, it’s not considered a true toad! It is not part of the Bufonidae (or true toad) family and displays more aquatic behavior than the terrestrial toad. This toad is listed as a species of least concern, possibly because it is resourceful on the whole. Oriental fire-bellied toads are known as an opportunistic species, commonly sharing close borders with human populations and are often found in agricultural areas or villages. Another reason these amphibians might be so successful is the wide variety in their diet. While they consume worms, mollusks, insects and a variety of aquatic invertebrates as adults, tadpoles and juveniles consume detritus, algae, fungi, plants and numerous small invertebrates. Oriental fire-bellied toads also live in a diverse range of habitats, especially in broad-leafed coniferous forests. They have been observed living in open meadows, river valleys and swampy bushlands, and more often than not, floating suspended close to the water’s surface. Photo by Mehgan Murphy, Smithsonian’s National Zoo. Every week the Panama Amphibian Rescue and Conservation Project posts a new photo of a cute frog from anywhere in the world with an interesting, fun and unique story to tell. Be sure to check back every Monday for the latest addition. This entry was posted in biodiversity, Cute Frog of the Week, why frogs matter and tagged Bombina orientalis, Cute Frog of the Week, Oriental fire-bellied toad by Lindsay. Bookmark the permalink.